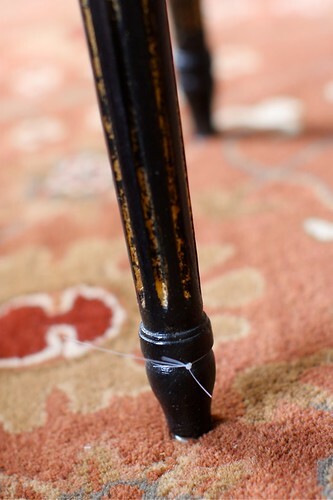 I noticed this little piece of fishing line tied to the chair when I moved it today. When the girls were two they decided to work together to pull out the dining room chair, climb on the dining room table and literally swing from the chandelier. Eric tied all the chairs together so they couldn't pull them out any more. I guess this piece of fishing line never got taken completely off. LOVE that story!!! That is something LiLi would have done!! !